Aside from its nuclear missiles, Washington’s most formidable weapon is the US dollar. US political scientists even have a special term to describe the use of the dollar system as a tool for strong-arming other countries – “the weaponization of the dollar”. What’s more, just as with nuclear weapons, there are several types of “dollar weapons”, of which sanctions that prevent access to dollar transactions are by no means the most effective. Washington sometimes uses the so-called “dollar vacuum cleaner”, which has proved effective against developing economies more than once. It works like this. At times of global economic turbulence, or when the US sees a rise in dollar interest rates, capital from all over the world floods into America, driven by either fear or greed on the part of its owners. At the same time, the exchange rates of developing economies fall, leaving them facing an investment deficit and making it much harder for them to repay dollar debts. If this movement of capital was displayed graphically on a map of the world, it would look like a vortex opening up in New York and sucking in all the world’s dollars. It is a well-known phenomenon, and Washington has learned how to use it not just as a tool for curbing its competitors economically, but also for supporting its own economy. Until recently, getting the outside world to invest in the US economy involved nothing more than setting up a minor geopolitical shock and sense of panic or raising US government bond rates slightly. If America found itself in dire need of an influx of capital from outside, then it was possible to do both at the same time. Now, however, US experts and the financial media are saying that the “dollar vacuum cleaner” is broken. Foreign investors are buying fewer US government bonds, while America itself seems to have somehow missed the start of the de-dollarisation of international settlements that began back in 2017. “Foreign Buying of U.S. Treasurys Softens, Unsettling Financial Markets. Investor pullback has fueled a bond selloff and shaken a nine-year-long rally in stocks,” reports America’s leading business newspaper, The Wall Street Journal. As well as the passivity of foreign buyers, there has been a reduction in Russian and Chinese investment in US debt instruments. Moreover, Washington does not have much time to solve this recently discovered bombshell of a problem. It will need to issue even more government bonds next year to pay for the infrastructure projects being launched by Donald Trump’s administration, and these bonds will put additional pressure on the market. For his part, President Donald Trump is blaming the situation on the Federal Reserve. And despite the fact that his position has met with certain criticism, the gravity of the situation itself is beyond doubt. According to SWIFT, the US dollar accounted for 43.9% of the volume of bank transfers using SWIFT in 2015, but this fell to 39.8% in 2017. Meanwhile, the share of the euro in 2017 accounted for 35.7% compared with only 29.4% in 2015. It should be noted that these changes took place even before European Commission President Jean-Claude Juncker expressed the need for a de-dollarisation of the European Union and the promotion of the euro as a challenger to the dollar. 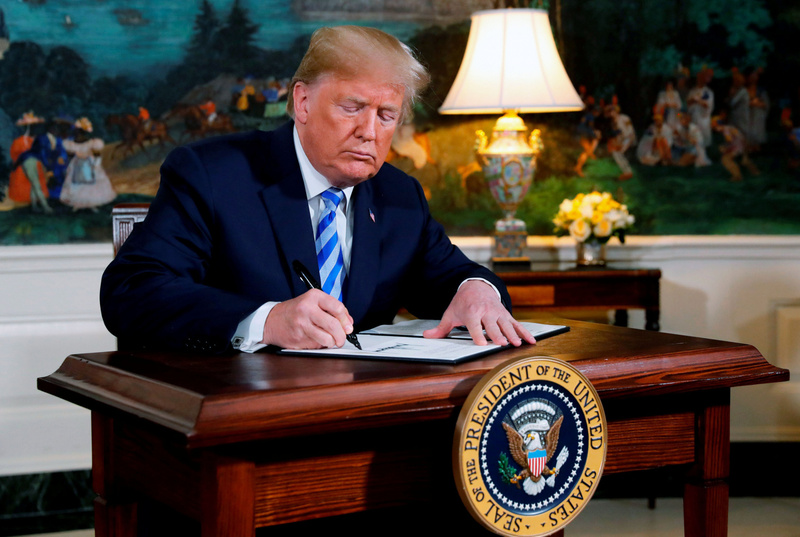 Those in favour of a continuation of the US hegemony believe that US investors are capable of independently financing the purchase of every bond issued by the Trump administration, as well as any bonds dumped by foreign investors. But even if US investors really do have that kind of money, using it to purchase government bonds will leave the huge and incredibly debt-laden US corporate sector unfinanced. After ten years of low rates, it has become accustomed not just to living in debt, but to living in debt without even thinking about the fact that this debt will need to be repaid one day. Companies like Tesla and Netflix, for example, cannot service their debts without the possibility of refinancing. If the US government directs its “dollar vacuum cleaner” away from the world at large and focuses it purely on the American financial system, then it will destroy the US economy. Thus, if the establishment in Washington has come to the conclusion that traditional methods for solving its financial problems no longer work, then it might be resorting to extreme measures to prevent the end of its hegemony, namely organising wars. In today’s world, however, unleashing a large-scale armed conflict has proven to be extremely challenging for the Washington war hawks. They have not even been able to give the desired intensity to the regional crisis in the Middle East. A global confrontation, especially given the very real threat of nuclear weapon deployment, does not have the support of Trump’s allies, and it makes them fearful and distrustful of the White House’s policies. In light of this, the Trump administration seems to have decided to use the current international security environment to its own economic advantage and kill two birds with one stone. After all, military escalation and a new arms race both provide powerful leverage over opponents and are an effective way to attract financial flows. Evidently, Washington envisages that an increase in arms manufacturing alone will strengthen the American economy, while provoked security threats will have White House allies calling for more military products and force America’s opponents, primarily Russia and China, to increase their own military spending. In one comment regarding his intention to withdraw from the INF Treaty, Donald Trump stressed that the US will continue to increase its nuclear stockpiles to put pressure on Russia and China. This tactic of drawing countries into an arms race has been used by Washington several times before. It even played a role in America’s confrontation with the USSR. At that time, back in the 1980s, the American economy was going through hard times. Soviet leaders really believed that the US was developing the Strategic Defense Initiative program (the so-called Star Wars program), however, and hurried to create their own version. And although Moscow eventually realised the futility of the initiative, huge amounts of money had already been spent that would have undoubtedly impacted on the Soviet economy. In recent years, Washington has been counting on increased defence spending to wear down its main military opponents, Russia and China. But while the US has seen an annual growth in military expenditure – $585 billion in 2015, $611 billion in 2016, $622 billion in 2017, and $720 billion in 2018, Russia has steadily reduced its military budget – $80 billion in 2015, $70 billion in 2016, $48.5 billion in 2017 and $46 billion in 2018. The lack of results has had the opposite effect, and Trump’s bold statements are evidence of the need for radical measures. These will require genuine political will and public support, however. 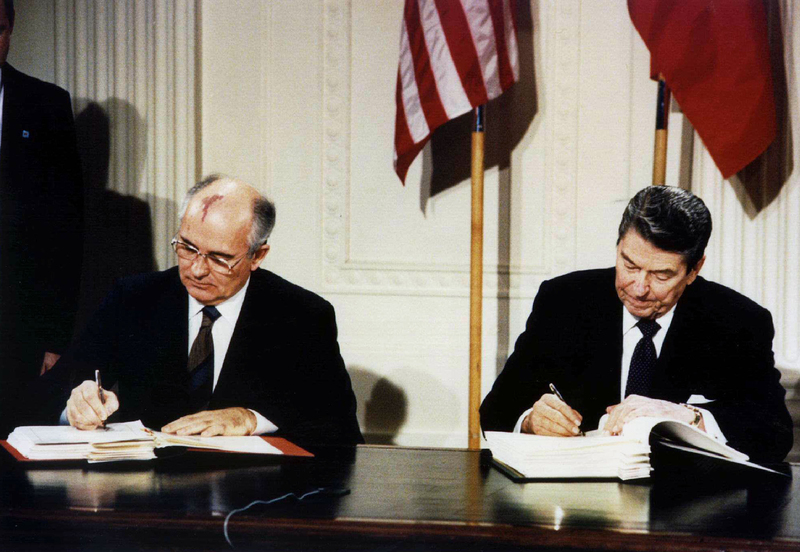 Will Washington decide to launch an open-ended arms race, or will Trump’s intention to withdraw from the INF Treaty prove nothing more than pre-election rhetoric? It will not work this time. See this piece, please. It’s over for the US.